But first, a word ongoing sustainable. There are a few reasons you may want to go green. With a more eco-friendly home design, you could save on electricity costs through such things as heating and cooling. If you invest in a water tank or a recycled greywater system, you could save on your water bill. A green home could also reduce your carbon footprint and help you become more self-sufficient. 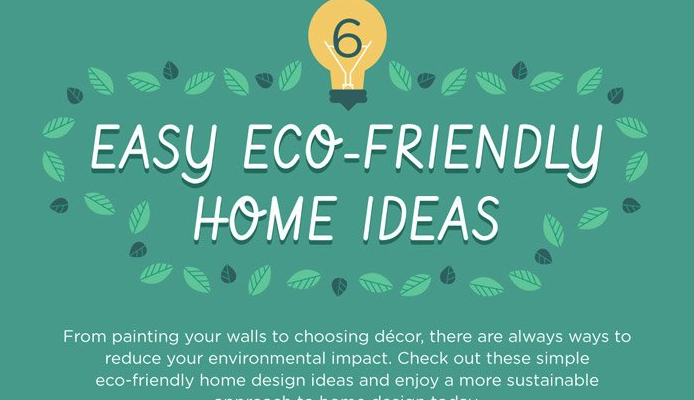 So without further ado, here are 6 eco-friendly design ideas to keep in mind when you play homemaker. Alternatively, scroll down to read more information on each tip. Have we whetted your appetite? Find out more about our design ideas below. Many paints, varnishes, sprays and scents contain volatile organic compounds (VOCs). These are chemicals that contain carbon, which evaporates into the air at room temperature. It’s believed VOCs contribute to poor air quality, which could lead to certain health issues such as dizziness, headaches and nausea. Instead of using paints and solvents with VOC, opt for low-VOC or zero-VOC paint. Whether you’re looking to renovate your home or to decorate it with new furniture, one option is to consider raw, recycled or renewable materials over brand new. These days, it isn’t difficult to find designer pieces made out of sustainable materials. Some of Brosa’s dining tables, for example, are made from recycled, reclaimed and salvaged materials. Our Chelsea and Georgia Collections are made from solid reclaimed timber and beams salvaged from 100-year-old buildings. And yet they still look like masterpieces! For sustainable building renovations, think about using recycled glass, aluminium, tile, lumber and plastic rather than new materials. You’ve heard it before, but you can lose up to 25% of your heat through draughts. Installing proper insulation is ideal for home renovations and new home builds. But a quick fix to reduce drafts is to add thick curtains at your windows and draft stoppers to your doors. Your curtains should be heavy and extend well beyond the window frame. Keep them open during the day to allow the warmth in before closing them up at night to keep the cold out. Thanks in part to VOCs (see above), the air we breathe indoors isn’t always good for us. But studies show indoor plants can reduce air pollution as well as alleviate stress and illness. NASA even found that plants help remove trace levels of toxic indoor vapour. Living plants won’t just be beautiful to admire in your home. They also serve as natural and fresh alternatives to the air filters you can find in supermarkets. We’re often tempted by the cheapest products. But these products – whether they’re furniture pieces or a floor rug – can have a short lifespan. Soon, they will become landfill and you’ll be back in stores searching for a replacement. Good-quality design pieces, including our furniture items at Brosa, are usually made to be durable. They typically use the best materials available to them and are crafted with the strongest design principles. Because of this, they’re made to last a lifetime, benefiting your bank account as well as the environment. 6. How low-flow can you go? Australia is the driest inhabited continent on earth, yet Australians use the most amount of water per person in the world! You can do something about this by installing water-efficient shower heads, toilets and taps. The shower and toilet are usually the two biggest water users in the home. But if you install low-flow shower heads and flush systems, you could reduce your water consumption. The WELS label uses a star rating to identify water-efficient products. With these design ideas, you could easily start to turn your home into a haven with a low environmental footprint. Not only that, you will have a home designed with the best practices in place for both the environment and your wallet! Stay tuned. Don't miss a trend.